Online presence is a pivotal ingredient to any businesses strategy, however the digital landscape is in a continual state of change so it’s essential to keep up with these changes to make sure your online visibility is optimised. Google releases between 500 and 600 updates every year, with the majority of them merely modifying their secretive search ranking algorithm. With Google being such a dynamic force in today’s online world, Search Engine Optimisation (SEO) has become progressively important for companies to increase their website traffic, customer engagement, and essentially their profits. User behaviour is changing rapidly with new technology, so Google must keep an eye on these changes and update their search algorithm respectively to ensure the user experience is as smooth as possible. If a website is going to thrive online, they too must stay on top of the changing trends in SEO. In reality, using out-of-date SEO techniques can lead to penalties that decrease a website’s search engine results page (SERP) listings, so here we’ll explore the top SEO trends to bear in mind for your website in 2018. A large number of users are now opting to utilise voice searches rather than standard keyboard searches, so this will organically be a top SEO trend in 2018. Voice searches are faster and more convenient, which is why it isn’t surprising that 1 in 5 online searches stem from voice queries. If the current increase in voice searches continues at the same speed, approximately 50% of all online searches will be carried out via speech by the year 2020! Link building has always been a valuable tool for SEO, and this will still be a pivotal component in determining SERP listings in 2018. Generating valuable links to credible websites is still the simplest way for Google to identify if a website is trusted, so adding value through quality links that helps you create an authority in your target niche is a fantastic strategy. Despite this, the trend towards link building is now more long-term, so having links from sites related to your industry and referral traffic will be very valuable in the future. The reason that mobile optimisation is a top SEO trend for 2018 is because Google has stated that they are experimenting with mobile-first indexing, which clearly denotes that mobile optimisation will be prioritised in the upcoming year. If your website hasn’t already been optimised for mobile devices, now is absolutely the time to start! 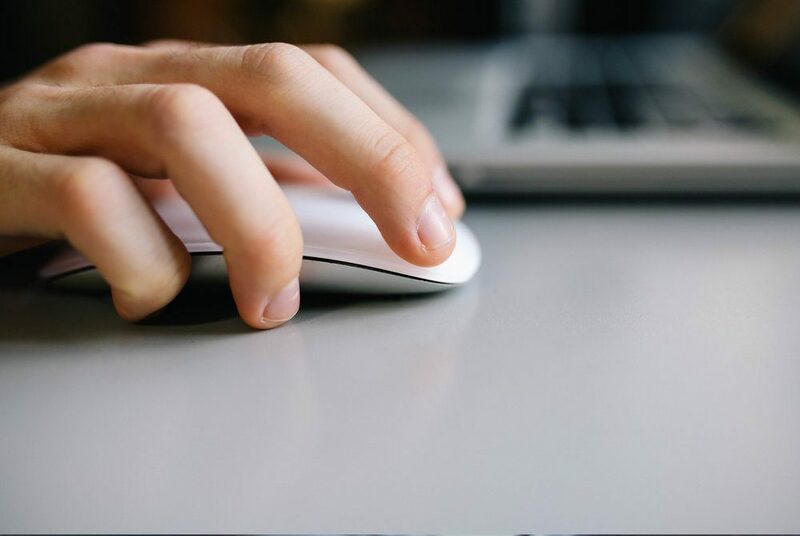 Website loading speeds play an essential role in SERP listings, and Google’s search results algorithm will not surprisingly favour those with quicker speeds. In fact, Google has constructed an open source project that assists websites to load pages faster on mobile devices. The project named ‘Accelerated Mobile Pages’ (AMP) allows individual web pages to load 4 times quicker than regular pages, and uses only 10% of the data in doing so! While traditional SEO techniques like link building will still be useful in 2018, there are other surfacing trends that Google is focussing on in the future which may noticeably alter the practice of SEO. It’s clear that SEO is already changing to stay on top of changes in user behaviour and to maximise the overall user experience. By recognising the latest SEO trends and employing strategies now, your website will be optimised and ready to obtain targeted customers from higher SERP listings. The day has finally come where Twitter users can express their annoyance with the 140 character limit in more detail, now that Twitter has officially affirmed that they have widened the character limit to 280 per Tweet! The social networking provider, which was launched in 2006, grew rapidly to become one of the most beloved social media sites internationally, however recent slumps in growth provoked the social media giant to make some revisions. Twitter distinguishes itself from other social media networks with its ‘microblogging’ feature, which is greatly different to equivalent social media platforms like Facebook and Google Plus. Twitter has just over 330 million users that send close to 6,000 Tweets per second. Despite the 140 character limit that strongly defined the social networking service, Twitter disclosed on November 7 that they want every individual around the globe to ‘easily’ express themselves on Twitter. After administering a series of tests over the last several months, Twitter determined that they wanted to double the character limit, but only where necessary. Countries like China, Japan, and South Korea will remain at the 140 character limit, simply because there’s no warrant for an increase, as sending messages in these languages can be conveyed in a short amount of characters. Languages like English meanwhile, suffer from crammed Tweets with 9% of English Tweets hitting the preceding 140 character limit. After administering a variety of tests to specific users, Twitter gained valuable results and conceived the 240 character limit would be advantageous for many users. Given that 9% of English users were hitting the 140 character mark, many would need to spend time modifying their Tweets to make sure they didn’t have to send several messages. Plus, users would now have the ability to conveniently fit their opinions into a single Tweet, so they could say what was on their mind and send them quicker than before. The question is, what effect will this have for online marketers and SEO specialists? Here are a few changes that they can expect to see. Since Twitter widened the character limit, users have enjoyed a higher level of responses which brought about more followers. Certainly, this has been a step in the right direction, as there has been a reported higher satisfaction rate from content producers along with more Likes, Retweets, and Mentions. The increased character limit means that users will have reduced threads of conversations, because they can fit more content into a single message. Users with long threads of conversations revealed that it can frequently be challenging to follow and respond to. Additionally, brands are loving the longer Tweets as it enables them to fit more in-depth information into a single Tweet which generates higher engagement rates. With the rise of businesses using social media as a channel to deal with customer service issues, customers can now communicate an issue in more detail on Twitter which is practical for both the customer and the business, as communication is substantially enriched. Previously, many users would have depended upon other social media platforms like Facebook to report customer service issues considering that the character limit was too restricting. Longer Tweets means that enterprises can enhance the creativity of their communication with their target audience through storytelling, Q&A’s, and more engaging Twitter Chats. Companies would typically have to use other social media sites if they wished to get creative, however brands can now effectively use longer text to their advantage by connecting with their audience on a more personal level. While some users have suggested that the increase in character limit by Twitter makes them more similar to other social media networks, the vast majority of users seem to be very pleased with their latest update. Nothing is carved in stone in social media, as making changes to stay up to date with shifting user behaviour is essential for survival. For the time being though, both users and marketing specialists seem to have emerged the winner! In today’s ever-changing digital environment, it’s paramount that businesses stay up to date with Google’s best practices to make sure that they continue being competitive in their particular online markets. With Google being the most powerful and influential company on the web, it’s key for them to keep abreast of all the threats and opportunities that the internet creates. For that reason, Google releases a multitude of updates every year: new features, bug fixes, and the majority relating to the very secretive Google search ranking algorithm. What’s important though, is that all online businesses that use Google-related services (basically every online provider), are aware of pressing changes that may influence their SEO, performance, and ultimately their bottom-line. The internet is in a continual state of change, so online providers have to be versatile and accustom to new Google updates as quickly as possible to guarantee they aren’t negatively influenced by these new releases. The most prevalent Google update that has recently had a bearing on online businesses pertains to Google Chrome v62, which was released in October of this year. The Google Chrome web browser is used by close to half of all online users, so it’s extremely important that online businesses incorporate the specific changes as quickly as possible if they want to reduce any damaging repercussions. In the Google Chrome v62 update, Google has changed the way in which it marks non-secured (HTTP) pages. If a non-secured (HTTP) page keeps security passwords and bank card information (which is held in a plain text file), they are susceptible to phishing sites that can basically steal this information from clients that falsely believe they are supplying their personal information to a genuine business. The Google Chrome browser will begin marking any text input field and web address bar as ‘NOT SECURE’ for HTTP pages. This change will clearly affect millions of websites all over the world. Prior to the change, many non-secured websites weren’t impaired by phishing attacks simply because they didn’t have a public-facing member login, and utilised PayPal or other offsite payment processors to accept online payments. Now, however, all websites will need to start securing their web pages due to the fact that users will become hesitant of succumbing to harmful attacks if they insert their personal information into fields marked boldly as ‘NOT SECURE’. For online providers that wish to secure their previously non-secured (HTTP) web pages, they need to encrypt the information being dispensed between their customers and their web server by incorporating an SSL certificate. Google are clearly pushing for a more secure internet than ever before, and they’ve opted for SSL encryption as a vehicle to do this. For website owners who would like to enable HTTPS on their web servers, here is an informative guide: https://developers.google.com/web/fundamentals/security/encrypt-in-transit/enable-https?hl=en. The following link is an additional guide on ways to avoid the ‘NOT SECURE’ warning in Google Chrome which is aimed at website developers: https://developers.google.com/web/updates/2016/10/avoid-not-secure-warn. The recent Google update denotes that HTTPS and SSL encryption will become the norm across all web pages on the web. Sooner or later, each online company will have to secure their web pages using SSL encryption whether they like it or not, or users will simply go with a competitor that does. What this also implies is that not all websites using SSL encryption should be trusted, and there will be a consequential increase in phishing sites using HTTPS also. Phishing sites can simply use false SSL certificates to sidestep the ‘NOT SECURE’ warning by Google Chrome and make their websites appear reliable. This will make the distinction between phishing sites and real websites more challenging than ever. Online companies that use an Extended Validation Certificate (EV SSL) will be the most trusted websites on the net due to the fact that it will be extremely difficult for phishing sites to mimic the authenticity that EV SSL provides. So, you’ve got a terrific business idea and you’ve made the decision you’re going to build and publish your own website. Well, as you quite possibly know, there are many variables to consider. The design of the website, the images you’re going to use, the content, the website architecture, the company logo, the online store – the list goes on. But ultimately, what’s most important when building a new website is the platform you choose. There’s a range of website platforms available with an array of various features, targeting the entire spectrum of developers from novices to specialists. You’ll ask for assistance on which platform to use and developers will argue for weeks on end about why one platform is better than the other. It can clearly be confusing to weigh the pro’s and con’s of each website platform and figure out which is best for you. So, to save the time and arguments, the basic answer to this question is ‘WordPress’. The following article will offer five convincing arguments as to why WordPress is the best platform to use, irrespective of your website development skills and abilities. WordPress is very user-friendly so you don’t need to be an expert HTML coder to construct an effective and powerful website. The setup process is quick and simple, the tools are intuitive and there’s a built-in updater so you don’t have to stress over not taking advantage of all the latest features. There are inbuilt features for blog publishing, RSS feeds, user management, automated backups, revisions and much more. Once installed, you can start making custom configurations without even writing any code! In the words of Google Engineer Matt Cutts, “WordPress automatically solves a tonne of SEO issues”. SEO is a very important factor to any website so having in-built features that seamlessly make your website SEO-friendly is indispensable. WordPress coding is standard compliance, high quality, and produces semantic mark-up which makes your site significantly attractive to search engines. There are also an assortment of free plugins that you can install which will make your website even more SEO-friendly, but we’ll get onto WordPress’ plugins next. Yes, you read it correctly; WordPress is free to download, install, and use to construct any type of website you want. 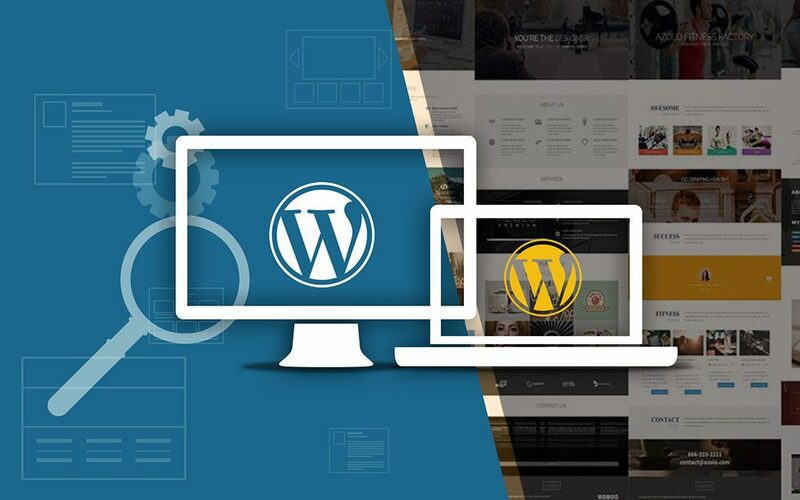 WordPress is also open source which indicates that the source code is available for anyone to modify, edit and create different themes and plugins with a range of features and publish these to the community. At present, there are over 2,600 WordPress themes and over 3,100 different free plugins available for use. Considering WordPress is a community software, it is maintained by a large group of volunteers who all contribute to the software by writing patches, answering support questions and updating documentation. If you have any problems or concerns about anything WordPress related, there are literally thousands of people willing to help. Due to the increasing use of mobile phones for internet usage, it’s extremely important that your website is optimised for mobile devices. In fact, one of Google’s latest updates requires websites to be optimised for mobile devices or they’ll be penalised in SEO. The good news is that most WordPress themes are built to be mobile responsive, meaning that irrespective of what device your customers are using, WordPress websites will automatically alter the appearance of your website to suit. WordPress actually lets you to work on both of your mobile website and PC website individually, so you can easily customise both to optimise the user experience. In today’s times, website security is of utmost importance so naturally WordPress has high security standards. Roughly one-quarter of websites are built on WordPress so hackers are frequently looking for ways to compromise them. WordPress is well aware of this so has produced a variety of security features which prevents any malicious attacks by publishing regular updates that neutralises these threats. Always remember, it’s also necessary for you to be using a secure device when accessing your WordPress account, so ensure you use standard security tools on your device and only acquire credible plugins from trusted sources. Having worked as a sales rep for various tech start-ups, I can’t even begin to illustrate the value of sending email sequences that sell. Automated emails are awesome because they greatly reduce the workload for a sales rep, nonetheless nowadays, everyone can relate to finding various sorts of email sequences lurking in their inbox everyday that just pester us because we need to click two buttons to get rid of them! Not nearly enough business owners spend the time and effort in crafting effective email sequences that effectively sell their product. Crafting convincing email sequences is both a science and an art, and if done well, can lead to excellent results. Having hundreds of potential customers on an email list isn’t going to yield any income if you can’t sell your product. So, here’s four tips on how to develop a great email sequence that will convert your leads into sales. The secret to prosperous subject lines is solving your prospects problems in as few words as possible. As an example, good subject lines include, “Common questions about university”, “Common questions about interest rates”, etc. Think about your prospects problems and target your subject lines to solve that problem succinctly. You can keep track of your subject line performance using HubSpot Sales notification stream (https://www.hubspot.com/products/sales/email-tracking). Once a recipient has opened an email, it’s important that you offer a value proposition in the context of their problem quickly. Forget starting the email with your name and job role; you must give your recipients a good reason to keep reading the email. Thus, begin your email with some information they can identify with, like company news or their opinion to an event via Twitter or an online blog, and then get into the value proposition in the second & third sentences. I recently worked with another organisation with [positive benefit]. Is this something that would be useful for [company name]? It’s critical that you get to the point promptly and keep the content targeted to the objectives of your prospect. If a prospect has shown interest in your products or services, why waste both of your time with a welcome email that has no value or offerings? It’s essentially dead-wood and if you’re going to send a welcome email, make sure that you include a catchy subject line and value proposition in the content of the email (refer to tip 1 & 2). The fact of the matter is that even an excellent first email may not get a response from the recipient. It’s understandable; people are busy and have prerogatives, so I suggest sending 2 or 3 follow-up emails as part of your email sequence. It’s easy to forget about an email that you’re interested in, but a fantastic follow-up email will remind them that you’re here to help them in whatever problem they have. You ought to ensure that your follow-up emails also feature your value propositions, and additional information that is informative to the recipient in solving their problems. Again, HubSpot Sales will monitor which emails are opened and which links are clicked so I strongly recommend using this application to assist you with your email sequences. 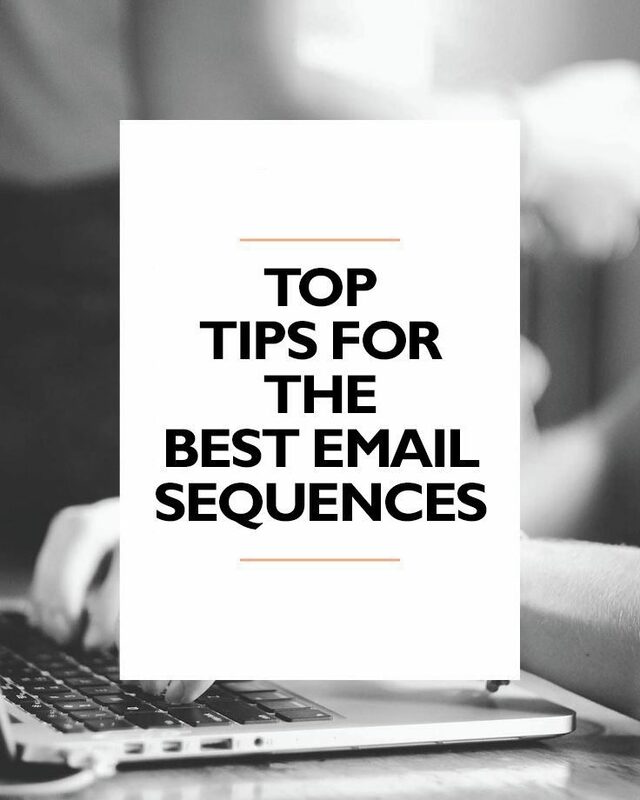 The value of creating effective and actionable email sequences can have a huge affect on your conversion rates and sales. There are many variables that you have to consider when setting up your email sequences, but this article showcases the most important factors that lead to success. If you’re having problems converting your leads into sales with your email sequences, it’s definitely beneficial in consulting with digital marketing experts that can assist you. 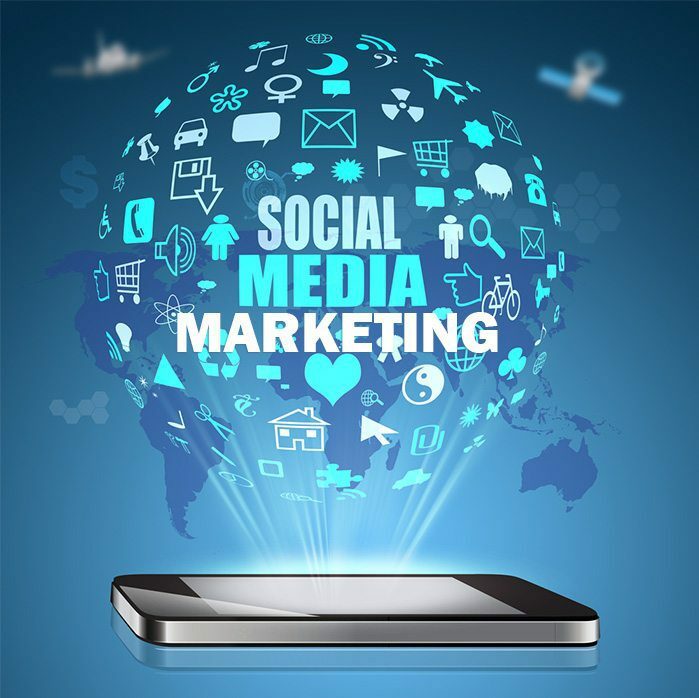 Contact the team at Internet Marketing Experts Perth today on 1300 595 013 or visit their website: http://www.internetmarketingexpertsperth.com.au.